Reintroducing the Meier & Frank Building. 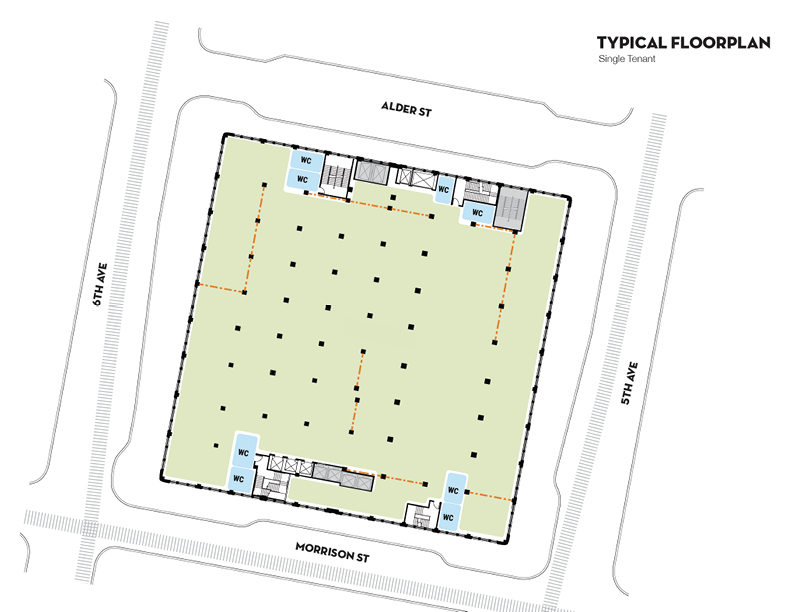 A historic downtown gem will soon reach a new level of distinction. In 2017, the first five floors of this 16-story architectural classic will be transformed into a creative office space unlike anything else in Portland. Oversized floor plates with towering ceiling heights will be bathed in natural light. Flexible work spaces will allow innovative companies to evolve their cultures. Renovations will preserve the architectural greatness of the past while achieving full LEED certification for the future. Modern amenities will abound, from an invigorated retail level and artfully redesigned lobby to a state-of-the-art fitness center. Tenants will have access to perks of The Nines Hotel upstairs, including two restaurants and an expansive rooftop bar and lounge. KBS and Sterling Bay are prominent developers and investors in commercial real estate. Our partnership has a simple vision: to elevate developments and exceed the needs of today's modern workforce. The modernized Meier & Frank Building will feature over 14,000 SF of tenant amenities space, including a fully renovated retail level, a new entrance and lobby, a welcoming tenant lounge, an easy-access secure bike room and a full-service fitness center. Tenants will have access to perks of the Nines Hotel upstairs, including its two restaurants, expansive rooftop bar and lounge and its stunning accommodations. 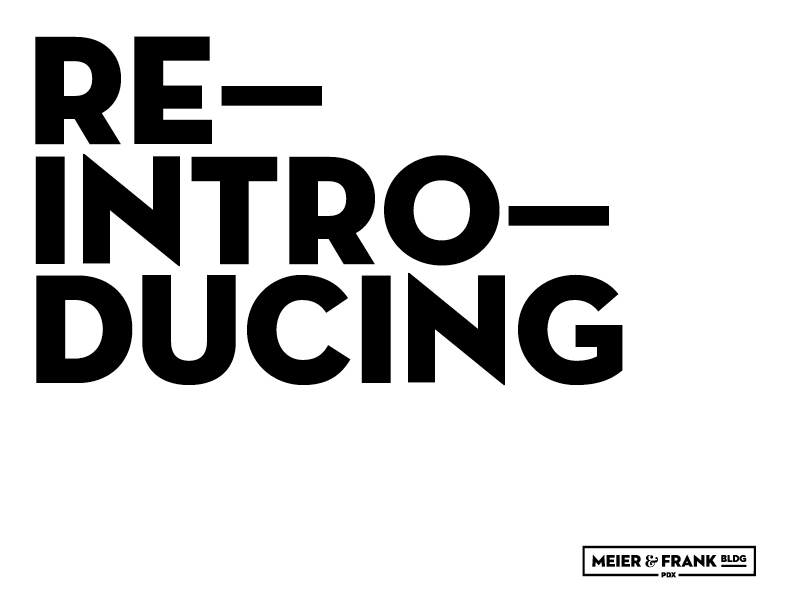 To learn more about the newly renovated Meier & Frank Building, download a brochure below. Sterling Bay and KBS are currently transforming the first five floors of this 16-story architectural classic into creative office space unlike anything else in Portland.